14-man Offaly grabbed an impressive 0-15 to 0-11 victory over Westmeath at Croke Park to advance to the quarter-finals of the Leinster championship. A second yellow card saw full back Shane Sullivan dismissed in the second half but the Faithfuls held on to set up a quarter-final clash with Kildare on May 28. Wing forward Colm Quinn kicked three points in the first half as Offaly led 0-09 to 0-03 at the interval in front of 37,426 spectators. Corner forward PJ Ward got Westmeath right back into it with a four-point haul. Gary Dolan pointed a late '45 to reduce the gap to three but Niall McNamee landed his fourth point to ensure Offaly's passage through. and Ciaran McManus, who recovered from an ankle injury to start, raised white flags for Kevin Kilmurray's side. However, the shooting from both sides left a lot to be desired and a 70-minute wides tally of 19 will have Kilmurray working his forwards doubly hard in the weeks ahead. Westmeath, who struck 13 wides in all, were left wondering what might have been as the injured Dessie Dolan (groin) looked on from the sidelines. Westmeath goalkeeper Gary Connaughton saved at the feet of Deehan in the first half, but there was little else in the way of goalmouth action. The second half was a better spectacle as Westmeath became more competitive, helped by the scoring of Kilbeggan's Ward. The former New York forward bagged two points, either side of a McManus effort, to cut the gap to five. Dennis Glennon and McNamee then exchanged points before Westmeath centre-fielder David Duffy waded through for his sole score. A second '45 for McManus was cancelled out by two Ward frees. Rhode defender Sullivan then walked for a tackle on Glennon in the 52nd-minute. 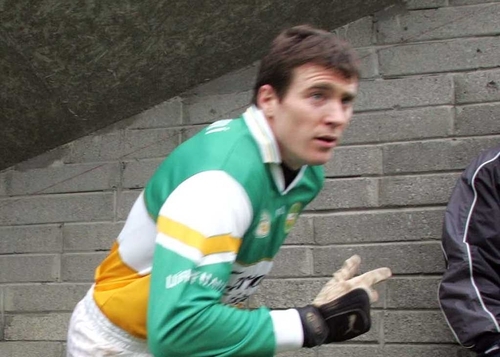 A McManus free settled any fears Offaly had of a capitulation, although their 'keeper Padraig Kelly was called upon to deny Westmeath wing back Damien Healy, two minutes from time. Offaly added further points from Deehan and McNamee. A Mangan effort and a Dolan '45 were of little consolation to O Flatharta's men. Offaly: P Kelly; G Rafferty, S Sullivan, N Grennan; K Lynam, S Brady, K Slattery (0-01) (capt); C McManus (0-04 (1f, 2 '45), A McNamee; C Quinn (0-03 (2f)), N Coughlan, J Reynolds; T Deehan (0-03), P Kellaghan, N McNamee (0-04 (2f)). 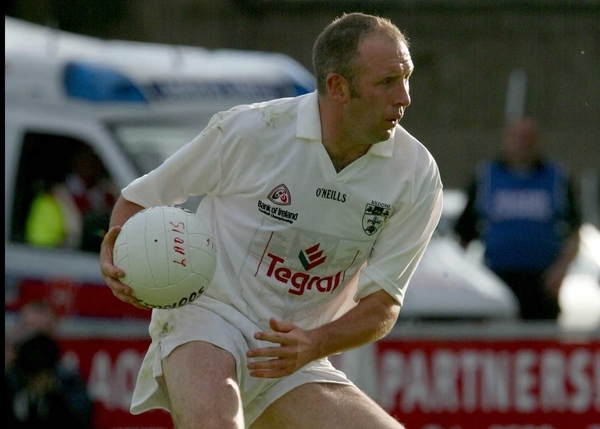 Westmeath: G Connaughton; J Davitt, M Ennis, J Keane; D Healy, D O'Donoghue, G Glennon; D Duffy (0-01), D O'Shaughnessy; G Duffy (0-01), G Dolan (0-02 (1f, 1 '45), J Smyth; PJ Ward (0-04 (2f)), D Glennon (0-01 (1f)), A Mangan (0-02).